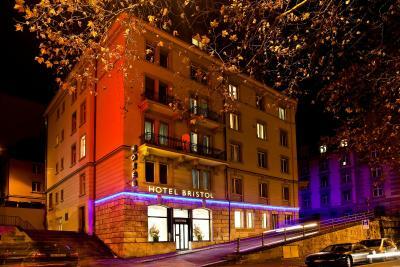 Lock in a great price for Hotel Bristol Zurich – rated 8.3 by recent guests! The room as exceptionally large for a city hotel. The lobby was pretty unattractive, but the staff was very pleasant. The breakfast was fine, not amazing, but adequate. For the money, it was a very good value as the location was excellent, the room size was great, the staff was nice, and the breakfast was included. 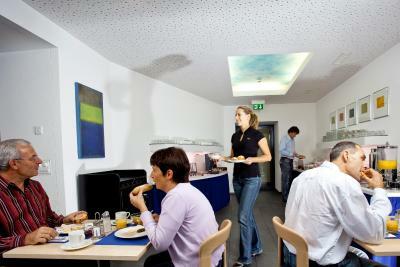 Staff were very friendly, location was superb only 5 minute walk from an entrance to the train station. Good location. 7mins to the station. Comfortable room. You have everything in the room. Good breakfast! Super location and also quite. Close to everything. Everything !! Confortable!!! Great for family!!! Very good ubication!!! Ms Sanz excellent service !!! The hotel and its staff went out of their way to make our stay easy. From providing a kettle to make a cup of tea in our room, having fruit in the foyer for guests, and on our last day storing our luggage until the evening and when we went to collect it before our late night flight they offered us the use of the guest shower and towels which was so appreciated as we had 26 hours flying time ahead of us. 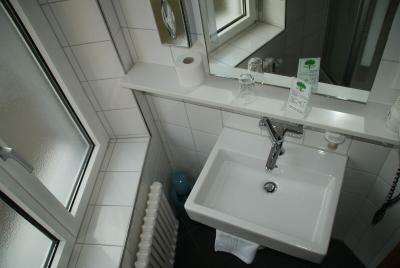 The location is excellent - just 5 minutes walk from train station. 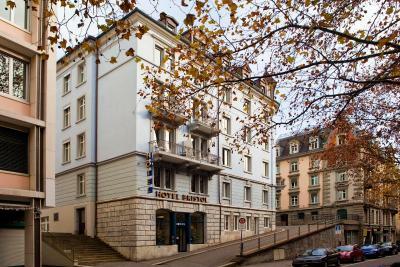 Would recommend this hotel for a stay in Zurich. 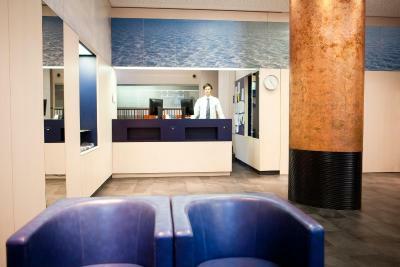 Very friendly staff at reception. Check-In a breeze. Near the train station. Good selection at breakfast. Stayed in a triple room and it was huge. Amazing value for money!! Hotel Bristol Zurich This rating is a reflection of how the property compares to the industry standard when it comes to price, facilities and services available. It's based on a self-evaluation by the property. Use this rating to help choose your stay! 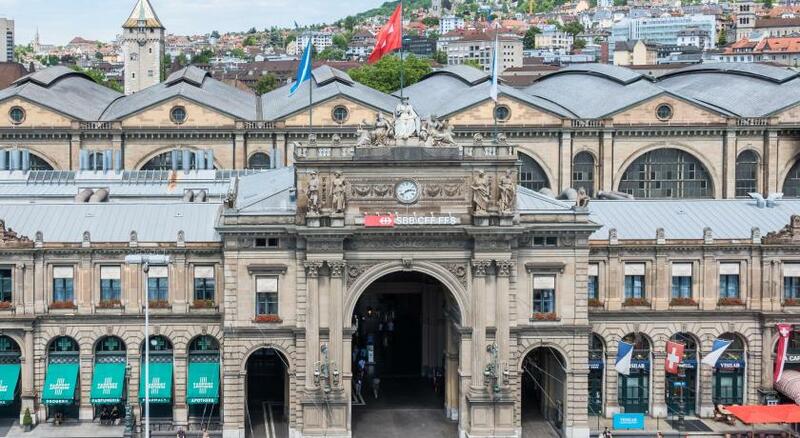 Just a 5-minute walk from the Zurich Main Train Station and ETH university, Hotel Bristol Zürich enjoys a quiet location in the center and offers rooms with attached bathroom with free WiFi. All rooms come with flat-screen TV and private bathrooms with a hairdryer. 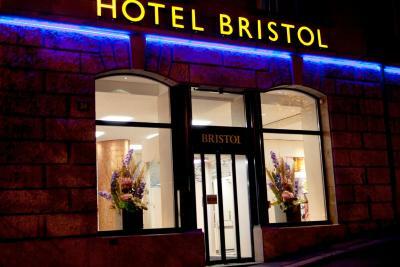 Lots of shops, restaurants and public transport stops can be found around the Hotel Bristol Zürich. 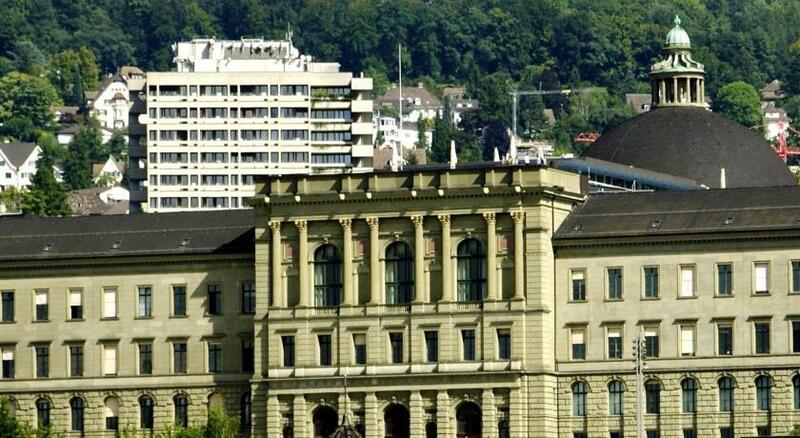 When would you like to stay at Hotel Bristol Zurich? Quiet room with a flat-screen TV and a bathroom with hairdryer. 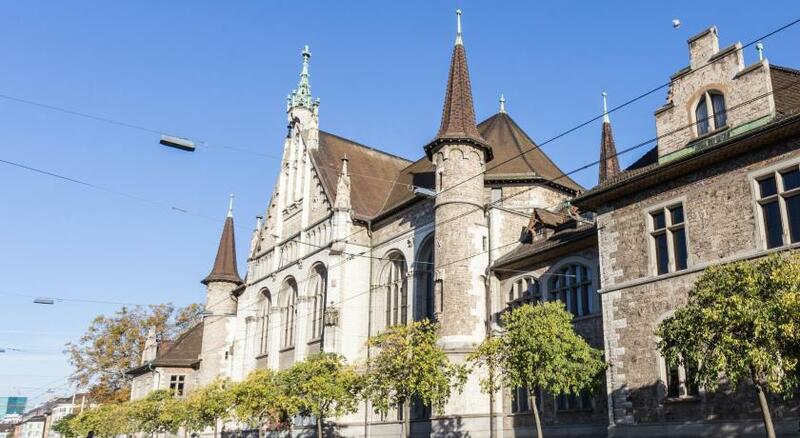 Private parking is available at a location nearby (reservation is needed) and costs CHF 30 per day. Room with a flat-screen TV and a bathroom with a shower. Room with a flat-screen TV and a bathroom with a shower. Bathrooms with a bathtub are available upon request. Spacious room with a flat-screen TV and a bathroom with hairdryer. 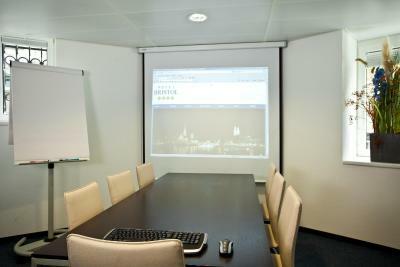 The room price includes 5 drinks from the minibar (water, beer) and free wired internet access. 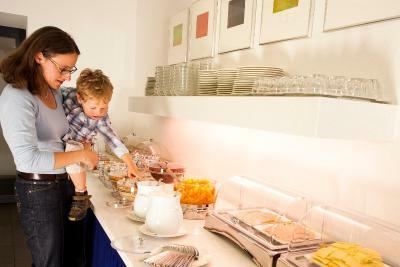 House Rules Hotel Bristol Zurich takes special requests – add in the next step! One additional child under 12 years is charged CHF 15 per person per night when using existing beds. One additional child under 12 years is charged CHF 30 per person per night in an extra bed. 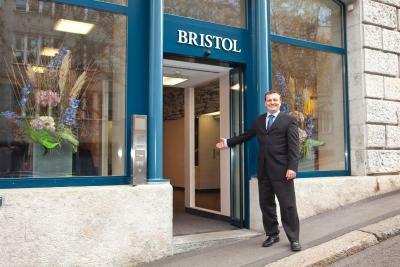 Hotel Bristol Zurich accepts these cards and reserves the right to temporarily hold an amount prior to arrival. Please note that single-currency credit cards (with UnionPay logo) cannot be accepted for reservations. Please note that the an air conditioning system will be installed between 11 March and 24 June 2019. This will be installed on a floor-by-floor basis, and the respective floor will be closed while under construction, so as to cause no disruption for guests. The work will also never begin before 08:30. Welcoming personnel, clean room, comfy bed, reasonably sized TV. Very close to central station which is convenient in case of an early flight. Tea/coffee maker near reception desk with a possibility to make tea at any time of the day only for 0,5 CHF. Close to the Zurich train station. Reasonable price with breakfast. when we stayed there we got room number 101 and in that room there was some kind of iron for what we didn't know and the iron was very hot. so if the iron is very hot and the air in the room gets hot. The room was small and on the window side of the bed I kept on banging the head on the sloping ceiling. Only a single lift in the building which was broken down the day we left and had to carry the suitcases down the stairs from the 5th floor. Everything was just fine. Courteous staff. Decent breakfast. Great location! Clean room and practical but very very very small room size!!! The breakfast left a little be desired, but that's probably because we're American. There was a variety of options, just not our favorite options...otherwise great hotel! It's close to Banhoff, around 5 minute walk. Room is suitable for 5 person, the hotel is very proactive to provide us extra bed and towel without request. Pepsi and water bottles are free on the fridge. Apples are available all the time on the lobby. Just beside Halal Restaurant (Karachi). The reception accepted us early check-in 2 hours before. Very fast internet connection room and lobby. It is very simple to check out. Larger lift or a second lift. Stair access to reception was not available. Great location and nice breakfast. Excellent reception, dinning room and house keeping staff. A very short walk from the station and easy to walk with suitcases. The quaint old town is a short walk away with nice eating places. Super markets are near by too and one can pick up ready to eat food at reasonable prices. Would love to stay here the next time we visit! 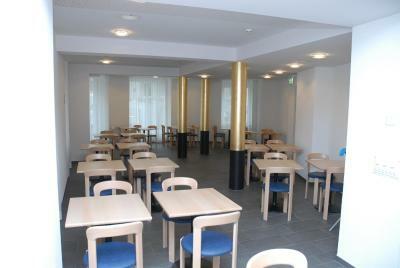 The location was excellent, just a few minutes from the main railway station and the old town. We enjoyed a very good breakfast with no limits on the quantity of food. We had a really good room, nice and spacious. Overall a great choice of hotel.